This article is part of a series titled ‘Sustainable Tourism Asia: Solutions for Tourism + Hospitality’. Previous articles from the series are available at the end of the article. The tourism industry’s role as a significant contributor to both GDP generation and employment across the Asia Pacific region has significant implications for regional development. International organizations such as the World Bank assert that the implementation of sustainable tourism practices can promote development through improved livelihoods, female empowerment, and the preservation of cultural heritage and natural habitats across Asia. Governmental regulations across the region seek to strike a balance between promoting tourism as a means of stimulating development and mitigating the negative impacts of overtourism. Apart from governmental measures, non-governmental organizations (NGOs) and leading companies are implementing initiatives to use tourism as a means of promoting sustainable development. The following initiatives are programs undertaken by speakers at the Sustainable Tourism Asia forum, aiming at promoting tourism that accounts for economic, social, and environmental impacts upon host communities. Friends-International is an international NGO focusing on empowering marginalized children across the world. Recognizing that growing tourism across Asia can pose risks to vulnerable children, Friends-International aims to ensure that child protection is incorporated into, and carried out in practice, within sustainable tourism strategies. 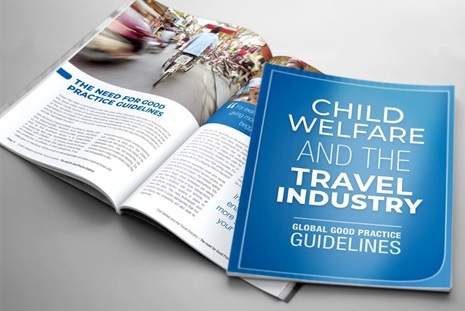 The recent release of the ‘Global Good Practice Guidelines’ provides all companies within the travel and tourism industry with guidance on preventing the exploitation and abuse of children across all areas of business. This includes the sexual exploitation of children along with the vulnerability of children working and living in tourism hotspots. The ‘Good Practice Guidelines’ encourage businesses to recognize these risks, and then seek to mitigate them and respond in timely ways. Implementation of the guidelines targets corporate operations and human resource procedures by integrating child welfare into existing products/services and by refining ethical codes and recruitment practices. The guidelines not only provide companies with a framework for refining corporate procedures, but also provide travelers with guidance on how to ensure they do not inadvertently put children at risk or engage in exploitative practices. This includes ‘voluntourism’ (tourism where travelers engage in often unskilled volunteering in the communities or environments they visit), visiting children in residential care or orphanages, homestays, and community-based tourism. These are activities that may be culturally offensive or disruptive to children, and the ‘Global Guidelines’ provide a framework to safeguard child welfare and well-being. To complement the ‘Global Guidelines’, Friends-International has developed the ChildSafe Academy, which provides a whole range of activities, trainings and team-building packages revolving around the themes of Child Protection and responsible travel. The activities offered by the program are meant to offer ChildSafe certified alternatives to travelers and hotel guests looking for local tourism entertainment. Some of these activities (escape game, roleplay…) serve also as components for tailor-made child protection trainings for hotels designed to offer a more engaging and interactive experience for staff. ActionAid is a leading international charity working with women and girls affected by poverty, violence and natural disasters across 45 different countries. The organization seeks to support women with practical, hands-on guidance, in developing solutions that will be most effective for them and their children in the future. ActionAid partnered with Intrepid Travel in Myanmar to launch a Community Based Tourism (CBT) program in Myaing, Myanmar. Community Based Tourism (CBT) is a growing sustainable tourism activity and participatory process, wherein a local community has direct ownership over said activities. CBT seeks to empower communities and promote development by supporting local enterprises and embracing local traditions, whilst conserving both natural and cultural resources. The aim of the project is to promote tourism in the region, in a manner that is minimally disruptive to the local community and the environment whilst allowing for increased economic activity that is community driven. Myanmar has become an increasingly popular tourism destination within South East Asia, with 3.44 million tourists in 2017. However, the economic gains from tourism have been concentrated within certain tourist hotspots. CBT initiatives such as those by ActionAid aim to disperse this concentration, and bring revenue from tourists to rural areas where job opportunities are limited and rates of poverty are high. By engaging in CBT and hospitality, residents of Myaing have gained skills in financial management and English-literacy and started social enterprises. Myaing’s close proximity to the tourist hotspot of Bagan, and the interest on behalf of both the Myanmar government and private tourism operators to expand the market has shown that engaging in a CBT project can be a viable means for fostering local development in the area. Airbnb’s platform utilizes the sharing economy model, where consumers can access goods and services directly from people providing them. The model itself lowers the starting investment required to engage in income-generating activities. Underserved communities can therefore monetize existing assets under the sharing economy model. Airbnb states that the use of idle residential resources encourages resource efficiency, and promotes cultural exchange, heritage and diversity by allowing people to connect directly and promoting a sense of community. Airbnb Experiences, launched in November 2016, are activities designed by local experts for a small group of guests which focus on promoting local sustainable living. The company is also increasingly developing partnerships with organizations across the Asia-Pacific region to promote sustainable tourism to rural areas. One such example is the company’s ‘Empowering Local Tourism Entrepreneurs’ partnership with the Thailand Ministry of Interior’s Department of Local Administration (DLA). Airbnb trains local provincial officials on hospitality, compliance and hosting standards, and onboarding existing homestay programs onto Airbnb’s platform. Officials will gain digital literacy skills to help locals create and manage listings, and pass on information regarding hospitality best practices. The initial workshop was attended by over 100 Thai officials, and selected local administrative organizations from the tourism sector across 11 provinces. The Director-General of the Department of Local Administration, Suttipong Juljarern, states that the partnership will provide locals with a source of income to improve their living standards and encourage local development. The aim of the partnership is to build the capacity of officials to act as professional community managers, and distribute tourism income to local communities in rural areas. Another example of such a partnership, is the partnership with the Self-Employed Women’s Association of India (SEWA), which represents 2 million Indian women mostly living in rural areas. Through the program, Airbnb trains SEWA members on aspects such as hospitality, quality standards, responsible hosting and home sharing. The goal is to give the women exposure to Airbnb’s platform, and promote tourism to areas of India that historically have not benefitted from the industry. The initiative has first been implemented in Gujarat, and will be expanded to 13 other Indian states. Airbnb and SEWA aim to bring economic opportunities through sustainable tourism to these rural areas by promoting digital inclusion and empowering women to become micro-entrepreneurs. Another example is the Airbnb-Guilin Rural Community Tourism project in Guilin, China. The partnership, established with the Guilin Tourism Development Committee, similarly involves Airbnb training local families on hospitality standards, digital literacy and home sharing. The company is collaborating with local academics in the area to understand the impacts of home sharing, prior to extending the initiative across other rural communities in China. By partnering with local actors and governments, and giving rural communities access to its platform, Airbnb hopes to encourage rural development and economic growth in a sustainable and contextual manner. We would like to sincerely thank Friends-International, ActionAid and Airbnb for contributing to this article. We look forward to hearing more about these initiatives and related programs from these speakers, at Sustainable Tourism Asia.